The Sport Lite front rim offers weight saving benefits as well as individual looks. 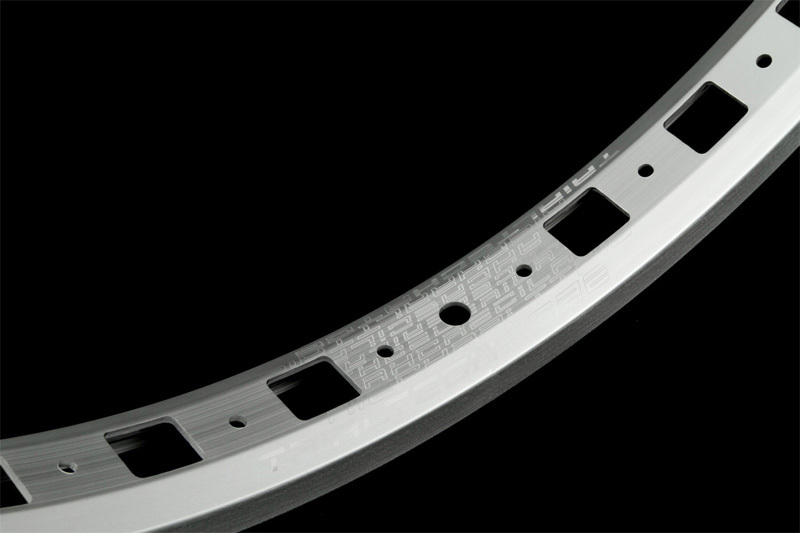 The single wall profile means that while the rim is wide enough to cope with low tyre pressures and reduce tyre roll.  By using square holes instead of traditional circular ones the rims are even lighter than than similar rims. The valve hole is drilled at the rim join to allow an additional hole to be machined opposite thereby further saving weight. The Sport Lite front rim is suitable for both disc or rim brakes, with rim brake users benefitting from improved braking performance when ground due to the high grade aluminium used and disc brake users benefitting from the wide profile and low weight. 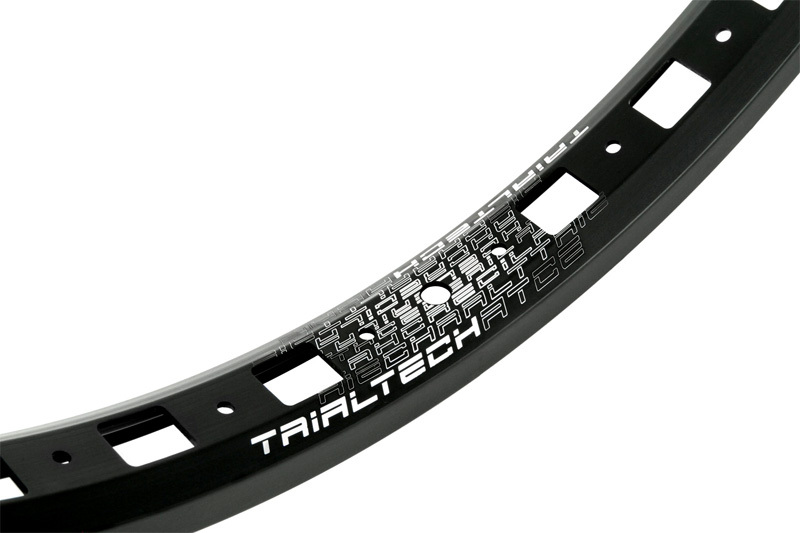 The Sport Lite front rim is 38mm wide and is available in 20", 24" and 26" versions with 32h drilling and comes in a classy gloss black or silver anodised finish with stylish Trialtech logos at the rim join/valve hole.